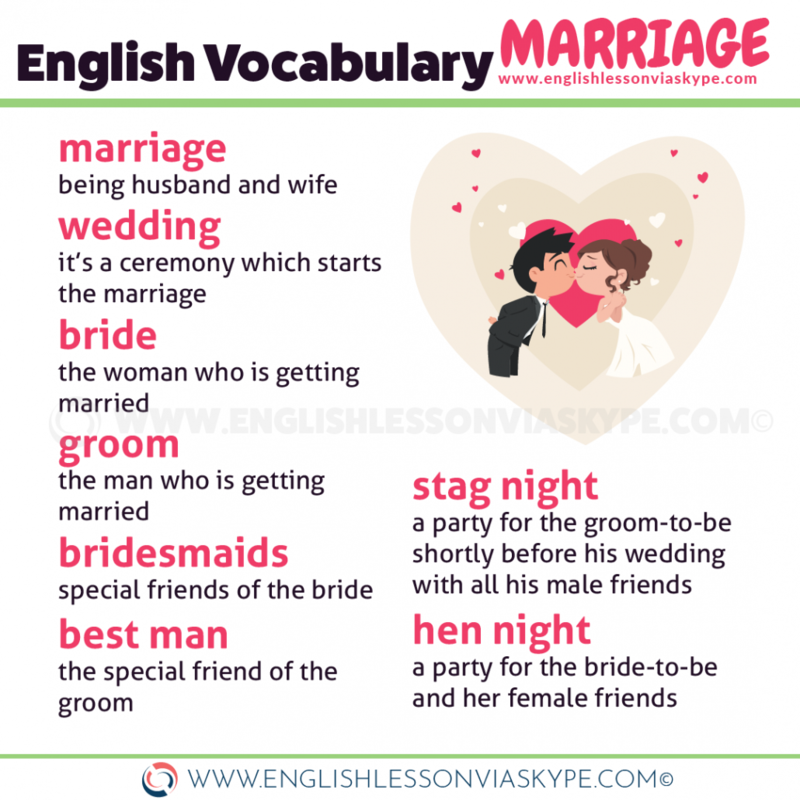 Here you will learn useful English vocabulary related to marriage and weddings. 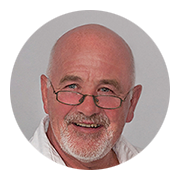 I will explain the meanings of English expressions in detail and provide you with examples. Scroll down to completean interactive exercise and practise your English vocabulary related to marriage. Don’t keep this to yourself. Tell the world. ex. This actress was married five times and her last marriage made her the happiest. ex. The wedding was supposed to start at 3.00 pm but the bride was late for almost an hour. BRIDESMAIDS – special friends of the bride. The average number of bridesmaids in the UK is three. Usually bridesmaids have to wear the same dresses with matching shoes. The head of the bridesmaids is called A MAID OF HONOUR. She is responsible for keeping things organised, helps the bride get dressed and stay calm on the day of her wedding. A maid of honour usually plans bride’s HEN PARTY. After the wedding there may be a RECEPTION, which is a party for all the guests. A HONEYMOON is a holiday for the bride and groom after the wedding. 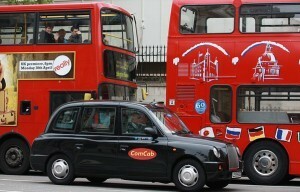 Quite often the newlyweds chose an exotic destination for their honeymoon. People usually celebrate their WEDDING ANNIVERSARY. This is the day on which they got married. ex. We’re going out for dinner this Saturday. It is our wedding anniversary. We’ve been married for 5 years. TO GET ENGAGED – to Usually, a man makes a PROPOSAL (an offer of marriage) to his girlfriend and gives her an engagement ring. Unfortunately, if the marriage is unsuccessful they may BREAK UP (to end a relationship) or SEPARATE (to start living separately). If they legally end their marriage, they GET DIVORCED. ex. Sarah got divorced when she wanted to get married again.